A nineteenth century, cast iron, round bottomed, velvet iron. 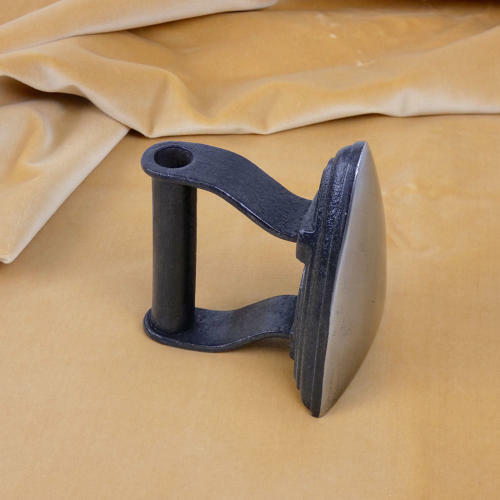 The base of this type of iron was rounded so that it doesn’t crush the pile of the velvet. It is marked, in the casting, ‘E. PUGH & CO WEDNESBURY’. This is the manufacturers mark and this is around the number ‘1’ which relates to the size. It dates from c.1860 and it is in excellent condition.